The best wine parties aren’t just remembered for their food or their wine. While picking the right kind of Pinot Noir matters, your party’s atmosphere is equally as important. Setting the party with great appetizers, decorations and small attention grabbers gives it the right mood that signals your guests to loosen up and just have fun. 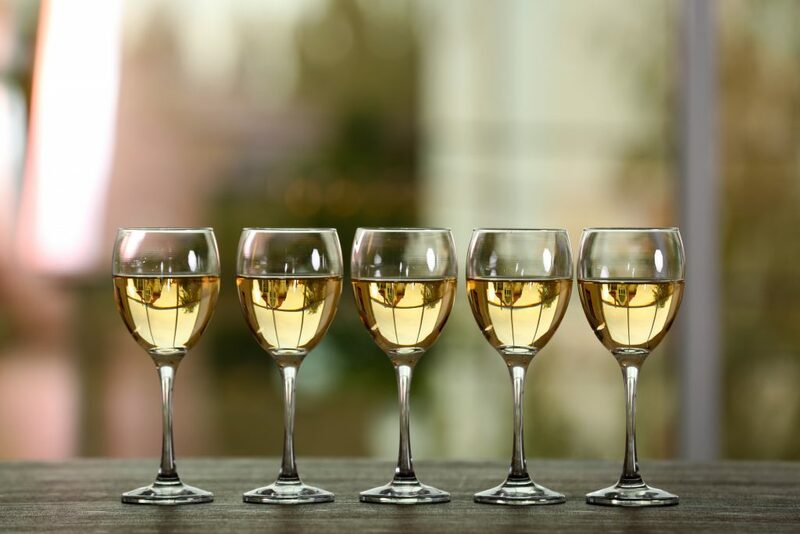 If you agree with us, then you’ll want to read these 7 clever ways you can upscale your wine tasting party into something your friends and family will absolutely remember. But why not have both? A cute table decoration or a sugary thank-you token you can give to your guests, this crimson wine candy is just adorable. It’s inexpensive and simple to make, but it can also pull-off an elegant look with the right wrappings and ribbons. You can get the recipe at Sprinkle Bakes. Enjoy! So much to do, so little time? Just go rustic and au natural. Belly Full suggests pouring Gouda, cheddar, hazelnuts almonds, and a whole lot of everything else into a wooden board, and just letting your guests decide on their pairings for themselves. It’s not complicated and it’s fun. What more do you need? If you want your wine glasses to be a little more on the unique side, then this tutorial from Cambria is your best bet. Show off your creativity, and make the party more exciting by customizing each glass with a guest’s name. This is so much better than the usual table card. Those corks you’ve been saving can be made into many amazing creations (which you can see here). This DIY from Stylish Spoon not only recycles old corks, it celebrates your party’s theme while injecting a fun creative side to it. The cork labels can hold anything from your guests name to the kind of wine you’re serving. Got too many mason jars? Fill them with different kinds of cheeses. This idea from Do More For Less breathes new life into your used jars. It’s uber simple to set up, and it makes a great addition to any party. To add some quirk to the cheese jars, serve them on a shiny gold platter to complement the cheeses’ bright yellow hues. We’ve said it before, and we’ll say it again. The best fruit that goes with wine is the fruit that makes it. One Handed Cooks gives us a refreshing but deceptively effortless appetizer slash wine pair that melts in your mouth, literally. Last and certainly not the least, what’s a better centerpiece for a wine party than wine bottles themselves? Upcycled wine bottle projects can save you a ton of money (you can read more about them here). This simple, easy 5-minute fix, from Diocese of Lansing brightens up your table while keeping the rustic chic theme prominent.